Nearly half the U.S. adult population suffers from poor quality sleep at night and one third of all adults are sleeping less than six hours per night. This lack of restful sleep is affecting more than just daily activities. Sleep drives energy, focus, and sense of well-being and when sleep quality is poor, sixty-seven percent of people also report that their health is poor. The lack of adequate sleep (about seven to nine hours is needed per night) impacts hormone function and blood sugar metabolism. Hormones drive many aspects of our lives: how we sleep, how we feel, energy levels, mood, drive, muscle tone, and fat. Even one night of poor sleep results in a cascade of problems the next day. • Insulin resistance - impaired ability to use insulin, leading to higher blood sugar levels. Insulin resistance is linked to an increased risk of obesity and diabetes. Chronic partial sleep loss may increase the risk of obesity and weight gain. This web of problems also includes an increase in cortisol levels. Cortisol is known as the stress hormone. The four biggest causes of belly fat are eating a poor diet with sugar and processed carbohydrates, stress, lack of adequate restful sleep and lack of physical activity. 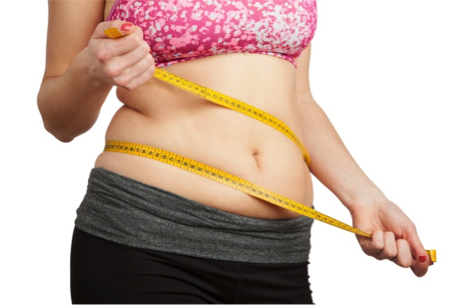 Do you battle unwanted belly fat, have listless libido or regularly experience trouble getting a good night's sleep? Would you love to sharpen your mind and increase your energy and vitality? If you are over age 25 it is very likely that with each passing year your levels of DHEA hormone are steadily decreasing at the rate of about 2% per year. As this hormone declines more and more signs of aging appear. DHEA is a precursor or base building block from which hormone molecules are made by the body. Recent findings show that higher DHEA levels are associated with deeper REM sleep thus allowing sounder sleep at night. People with lower levels of DHEA have more belly fat, sleep poorly, and have a higher risk of getting cancer. DHEA is a base for estrogen, testosterone, and 50 other hormones. I began using Twist 25 DHEA cream topically several years ago in my early 50s. At that time I had been having a difficult time sleeping, with many nights lying awake for hours. Two weeks after beginning Twist 25 I slept straight through the night, and that continued to be the pattern. DHEA had kicked in and things were coming into balance. I was waking up refreshed and my energy increased. 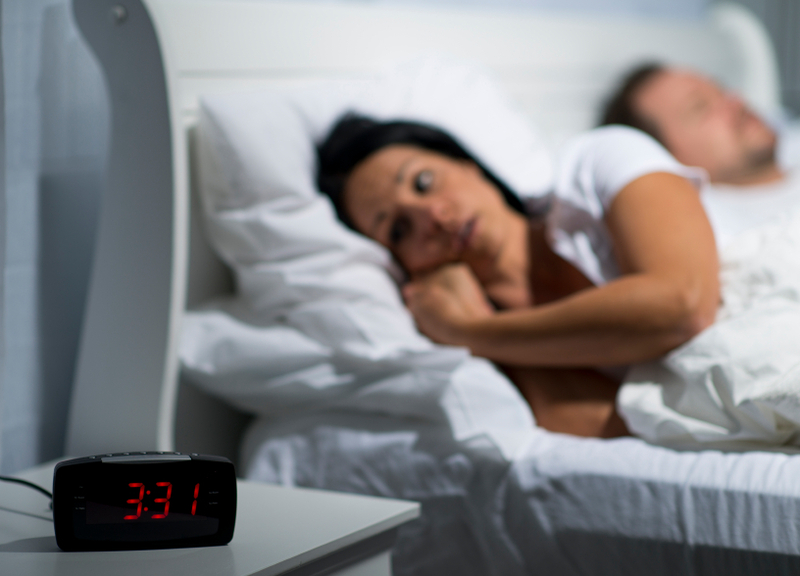 As hormones are balanced, consider additional ways to improve the quality of sleep. Be sure that the room you sleep in is completely dark. Remove electronics, get room-darkening blinds, and even cover the light from your smoke detector with black tape. If you cannot achieve total darkness, use a sleep mask. Avoid screens (tv, computer, tablet, phone) an hour before bed. Turn down the lights and read a book or listen to music. 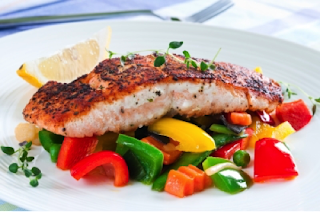 Avoid alcohol, starchy snacks and heavy meals before bed. Use aromatherapy. Essential oils increase feelings of relaxation. Lavender oil and cedarwood essential oil are favorite calming oils to use at bedtime. Essential oils can be diffused or applied topically. Apply a drop of oil to the back of the neck, on forehead or on each wrist. Supplements can help. Take 400mg of the relaxing mineral, magnesium glycinate, at bedtime (or more if needed). Herbs like passion flower can also be beneficial. ▪ Focus on nutrient-dense, natural whole foods (vegetables, fruits, wild caught fish, free range meats and eggs, seeds and nuts). ▪ Increase your intake of healthy saturated fats and omega-3 fatty acids from good sources like fish, avocado, nuts, seeds, Grass-fed butter, unrefined coconut oil, Mac Nut Oil, Avocado Oil, and Extra Virgin Olive Oil. ▪ Include high-fiber foods like vegetables, flax seed, chia seeds, berries, avocado, nuts and other seeds. ▪ Avoid nutritional deficiencies by complementing a nutrient-dense eating plan with quality supplementation (Vitamin D3, Probiotics, Omega-3 Fish Oil, Magnesium). ▪ Drink plenty of water in between meals, but not during the meal as this dilutes much needed stomach acid. Simply cutting calories and exercising more will not help reduce belly fat that is related to hormonal imbalance, stress, poor sleep and poor diet. Follow the steps outlined above and you will begin to reclaim your health, energy, vitality and zest for life. (1) Leproult R, Van Cauter E. Role of sleep and sleep loss inhormonal release and metabolism. Endocr Dev. 2010;17:11-21. doi: 10.1159/000262524. Epub 2009 Nov 24. Review. PubMed PMID: 19955752; PubMed Central PMCID: PMC3065172. (2) Donga E, van Dijk M, van Dijk JG, Biermasz NR, Lammers GJ, van Kralingen KW, Corssmit EP, Romijn JA. A single night of partial sleepdeprivation induces insulin resistance in multiple metabolic pathways inhealthy subjects. J Clin Endocrinol Metab. 2010 Jun;95(6):2963-8. doi: 10.1210/jc.2009-2430. Epub 2010 Apr 6. PubMed PMID: 20371664. (3) McNeil J, Doucet É, Chaput JP. Inadequate sleep as a contributor to obesity and type2 diabetes. Can J Diabetes. 2013 Apr;37(2):103-8. doi: 10.1016/j.jcjd.2013.02.060. Epub 2013 Apr 23. PubMed PMID: 24070800. (4) Knutson, Kristen L. Impact of sleep and sleep losson glucose homeostasis and appetite regulation. Sleep Med Clin. Author manuscript; available in PMC 2008 Jun 1. (5) Friess E, Trachsel L, Guldner J, Schier T, Steiger A, Holsboer F. DHEAadministration increases rapid eye movement sleep and EEG power in the sigmafrequency range. Am J Physiol. 1995 Jan;268(1 Pt 1):E107-13. PubMed PMID: 7840167. Erin Chamerlik is the founder of Get Better Wellness, Inc., a wellness-focused health and nutrition education company located in the Nashville area. Learn how you can reach optimal health through a whole food eating plan that integrates ancient wisdom with an innovative, science-based approach to health and wellness.